Susan was the mean girl in my junior high school. She taunted and tortured Gabriela for months, but I never confronted Susan or helped Gabriela. I witnessed Gabriela’s pain and wanted to respond. Not understanding how to act on my feelings at that age, nor risk becoming Susan’s next victim I did nothing. I felt guilty about my inaction for years until I apologized to Gabriela. Often I’ve thought about what parents can do to increase the likelihood that our children will be confident enough to stand up for themselves and others. While some conversations should remain private, it’s important not to create a divide whereby adults have a voice and children do not. The first example above demands silence, whereas the second example requests time and patience. Both are clear, but only the second is gentle and respectful. It also explains Mommy’s needs. The child understands her thought process and can learn to link communication and behavior. It’s important to create a family environment where all voices can be heard, and the adults are not intimidating. We want our children to feel comfortable approaching a teacher. For example, if there’s a problem on the playground. If they learn that when adults are talking, they should not speak up, they might not even consider approaching a teacher in times of trouble. I teach writing at UCLA, and I can often tell who among my college students has had years of practice speaking with adults, versus the students who tend only to speak with peers in their own age group. Students who are more comfortable speaking with adults seem more assertive, willing to attend office hours and ask for help. They are more likely to participate in class and more at ease in a range of social or professional settings. We often spend so much time preparing children to deal with inappropriate or threatening behavior that we miss more subtle opportunities to train our children to trust their instincts. Recently I visited a friend and met her shy 8 year-old, Ben, for the first time. I could feel Ben’s discomfort when my friend insisted he greet me with a big hug and kiss. We understand the desire to model social behavior, but the forced affection made Ben uncomfortable. It is better to respect his space. Perhaps if we spent the afternoon together, he might feel receptive to a hug goodbye. Then he would be making the choice to connect in a way that aligns with his natural disposition. Making regular, even small, daily choices empowers children. It lets them know they have the ability to shape their experience, and that they can do it in their own time and in accordance with their comfort level. Select a scenario for dinner conversation: second grade classroom; Molly is in distress because Michael, who sits behind her, kicks her chair every day. What can Molly do? I like this question better than, “What should Molly do?” because the purpose of this conversation is to help your child consider all her options, weigh the benefits and risks for each, and then select from among them. Confront Michael inside or outside of class. Or she could kick Michael back (clearly not the best choice, but sometimes the instinctive reaction, which is why a discussion of consequences is essential). My friend’s daughter, “Molly” in this situation, arranged to signal her teacher whenever she was being kicked. This way the teacher could intervene without making Molly into a tattletale. Molly felt relieved because she did not need to control the situation in order to influence it. She could receive help in a way that felt safe and effective for her. A way that makes her more likely to reach out again in a difficult moment. Most schools are designed to feed the mind and ignore the body, so if we right that balance by involving children in a practice which integrates body and mind (sports, dance, martial arts, meditative breathing techniques), participants are more likely to develop confidence that feels real. When children learn healthy ways to set, work toward, and reach goals, they know they are capable of growth and self-regulation. This embodied form of empowerment gives us evidence that we can effect change within, and by extension in our communities. Telling our children that we love to watch them play helps them feel loved and supported, regardless of whether they win the game. Nurture them as people, not point-collectors, and they’ll be more likely to develop a core sense of value. I have several friends who go around the dinner table and share the best and worst parts of their day, but the parents, feeling they don’t want to burden children, tend to share only happy examples. This sends the unintended message that our children should pretend like nothing hurts. However, children feel pain and can tell when we do too. Better to admit: “Daddy was upset when the blue car swerved into our lane today. It’s important to drive safely.” If our children learn to articulate what makes them angry, fearful, frustrated, anxious, or alone, they find words for feelings: “I was nervous in class when Ms. Kris called on me.” We can then respond with the kind of praise that acknowledges honesty, self-expression, and eventually self-care. 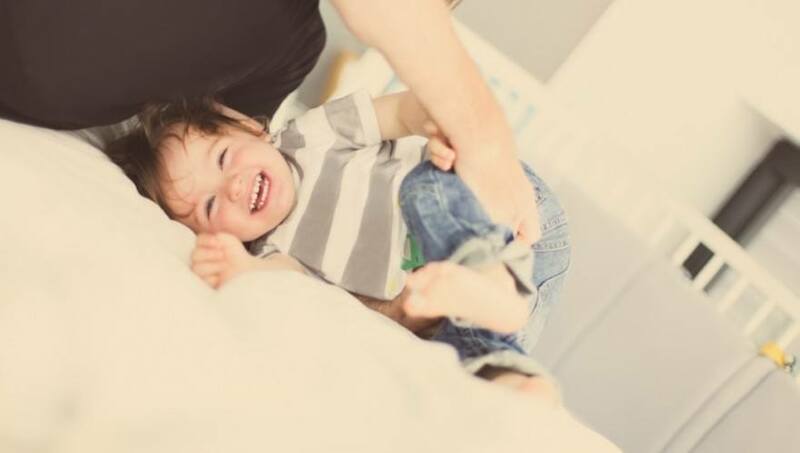 Conscious parenting involves a constant negotiation: when to challenge, when to back away, when to set boundaries, when to encourage freedom, when to be stern, when to laugh it off. Modeling the kind of behavior we wish to see in our children is perhaps the most effective influence for raising confident kids—and the greatest gift. The Mother Company aims to support parents and their children, providing thought-provoking web content and products based in social and emotional learning for children ages 3-6. Check out episodes of our “Ruby’s Studio” children’s video series, along with our beautiful children’s books, music, and more. I liked the Be purposeful with praise section. we too often praise without real purpose and what does that teach? “helping children build on the feeling of being able to master a skill rather than already being a master provides a more solid foundation to stand of and grow from.” The Danish Way of Parenting.